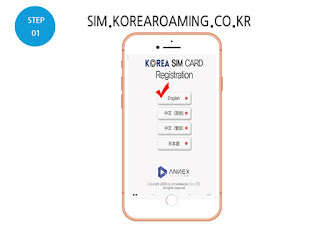 Do I need to register SIM Activation before using Korea SIM Cards : ANNEX SIM FREE A, PLUS A? 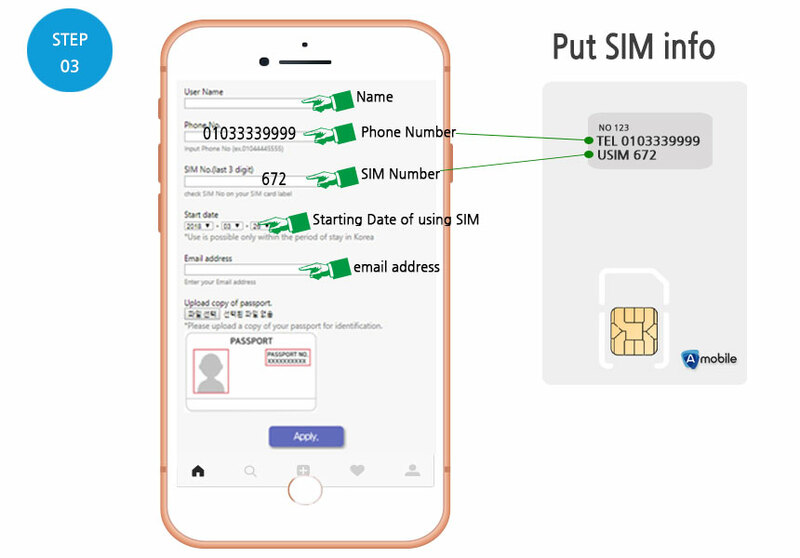 Yes, you are needed to register SIM Activation before using them with your copy of passport. 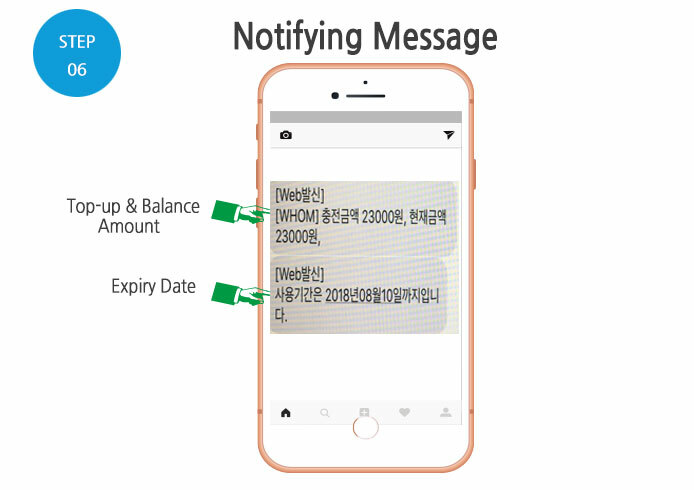 Because these SIM Cards are valid for foreign visitors only and if you are of Korean nationality, you have to own a proper visa which proves you are staying overseas such as permanent resident card, student visa, etc. and upload one photo taken together with your passport and proper visa. 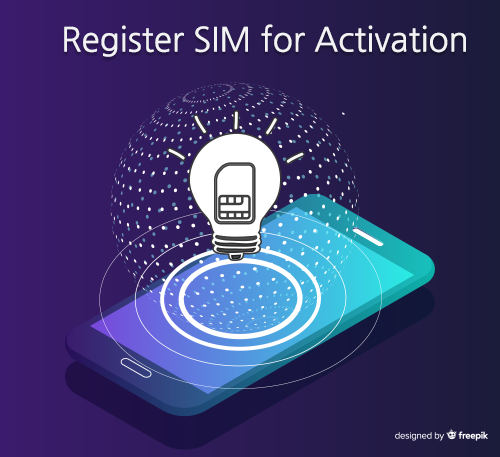 You can also use them immediately after registering SIM Activation or on the scheduled date to use pre-registered. Try to do as follows. Step 1, Visit to SIM Activation page : Tap here ! and Choose languages. 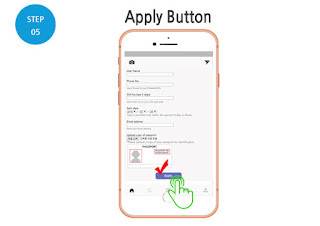 Step 2, Agree to Terms & Conditions. 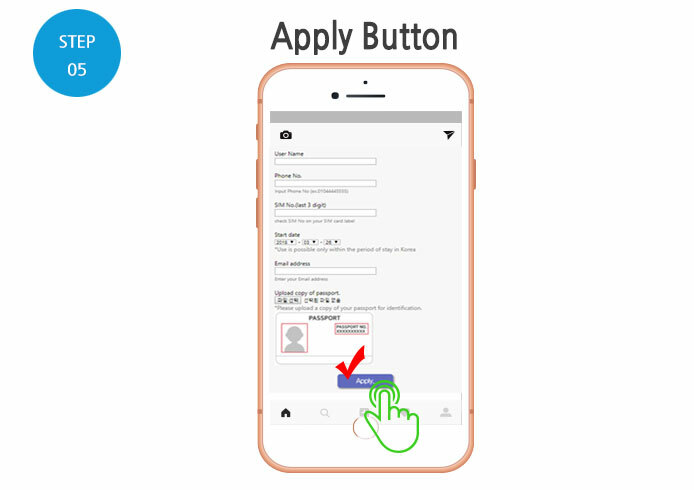 Step 3, Type following items. If user is foreign nationality, it is needed only copy of passport and your picture and passport number should be clearly shown please when you take a picture your passport with your phone. This SIM Card is valid for foreign visitors only. 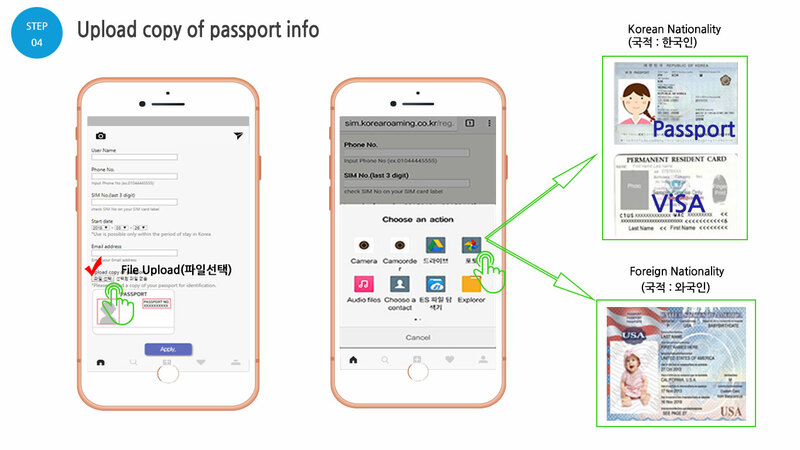 If user is of Korean nationality, you must own a proper visa which proves you are staying overseas such as permanent resident card, student visa, etc and you must upload one photo taken together with your passport and one of them. 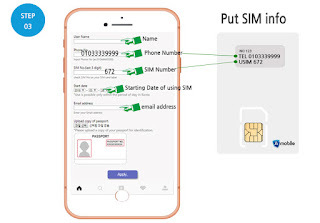 Step 5, Click 'Apply' Button to complete SIM Activation. When you switch SIM into your phone at the starting date of using it. You receive text message included balance and expiry date.